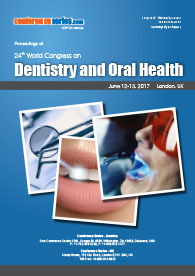 Conference Series LLC Ltd invites all the participants across the globe to attend 40thWorld Dental Science and Oral Health Congress | Singapore. James D. Bates, D.D.S., M.D., is an American board-certified oral and maxillofacial surgeon in active private practice in Dallas, Texas. Originally from Lubbock, Texas, he attended Texas Tech University as an undergraduate. He graduated with many honors from The University of Texas Dental Branch at Houston with a D.D.S. degree, and from Texas Tech University School of Medicine with an M.D. degree. In addition, he completed an internship in general surgery at Baylor University Medical Center and completed an accredited residency in oral and maxillofacial surgery at The University of Texas Health Science Center in Houston. As a part-time faculty member at Texas A&M Baylor College of Dentistry in the Department of Oral and Maxillofacial Surgery, he taught physical examination and internal medicine to graduate students in all specialties as a Clinical Associate Professor for 18 years. As the founder of Texas Oral and Maxillofacial Surgery, his practice is proud to have maintained 12 years of continuous accreditation as an Office-Based Surgery Practice by the internationally-recognized Joint Commission. His practice focuses on providing full-scope oral and maxillofacial surgery services including orthognathic and TMJ surgery. breathing in a comprehensive format, both for the general restorative dentist, the orthodontist and the oral and maxillofacial surgical specialists. 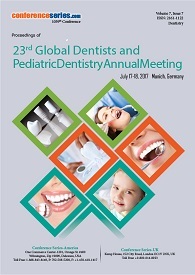 From the medical history and clinical examination, to radiographic and diagnostic imaging findings, to a detailed discussion of the clinical polysomnogram and sleep medicine consultation referral, to mandibular advancement oral appliance therapy and CPAP therapy, to upper airway surgery including uvulopalatopharyngoplasty (UPPP), laser-assisted uvuloplasty (LAUP), nasal septoplasty, inferior turbinectomy, tonsillectomy and adenoidectomy, radiofrequency tongue and soft palate ablation, to maxillomandibular advancement and genioglossus advancement, to tongue and hyoid suspension, this presentation will provide direct and practical real life ways to improve the health and prolong the life of your patients with maximal fulfillment in return. The importance of the role of the dentist today is of great importance for the concepts that can be learned and obtained from the study of sleep and the knowledge of the patient's medical information. Today, the dentist spends a lot of time with the patient and is able through communication, motivation, encouragement, to improve the quality of life for a long time. The dentist's medical team must also think about the general health necessary for every patient to face life in the best possible way.Now in our work we are the coaches of our patients and we must be able to motivate, encourage, direct and assist their changes and see how our role gains importance in the patient's psychophysical health processes.The dentist's duty is to investigate and treat in addition to oral hygiene, nutrition, physical and mental health, encouraging the patient in this direction because it is and will be the direction of future health of people. 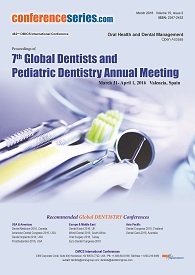 Keynote: The versatile indications, techniques and properties of composites: different approaches to day-to-day-cases with silicone based indirect restorations and nanohybrides! Before Dr.Eren Cicek graduated from the University of Copenhagen, Denmark in 2015, he had tutored and lectured medical,- and dental students at the faculty of health and medical sciences in the aforementioned University. Since then he's been working in a private clinic, focusing on endodontics,- and restorative dentistry. In a period of 6 months he also worked as a pedodontist, mainly focusing on syrian refugee children, in relation to the massive immigration that Denmark had in the early 2016. He keeps lectures several times a year on various topics. In Autumn 2016 he became the owner of the clinic that had him employed, in Copenhagen. Since then he's been conducting all sorts of dental treatments. Most recently he has returned from Germany, Cuxhaven, lecturing at the VOCO international fellow symposium and Oslo from lecturing in composites. My presentation deals with the versatility of composites (types and techniques), its many functions and indications. Composites is a well known, and well used material in every dental practice, all over the world. Its properties varies from being colorstable, flexible, elastomeric and resistant to incoming forces. The latest trend in the ever growing universe of composites is nano-hybrid composites, which is also entirely biocompatible. These are just few of many of the advantages of composites, which dentists are enjoying from their day-to-day work. Before the clinical cases, the subject of light curing is going to be mentioned briefly, as it is imperative for the clinician to excecute properly, this phase properly, for sufficient restorations on patients. With a solid theoretical foundation on the newest cutting edge technology in the field of bonding and nanohybrides, which I build my clinical cases upon, I am going to show-case different approaches, to chair-side treatments in restorative dentistry. Various techniques, with various composite materials are going to be elaborated upon, with references to the newest of research in the aforementioned field. Everything from direct composite restorations using silicon stamps to a chair-side-preparation of indirect restorations, using die silicone. Furthermore the use of cutting edge materials, being nanohybrid-composites and bundled glass-fiber-posts are going to be examplified, to give a taste of what the future looks like for the respectable field of restorative dentistry.